A microphone’s directionality or polar response (polar pattern) indicates how sensitive it is to sounds arriving at different angles around the microphone. A microphone’s polar response will indicate how directional it is, how well it will reject sound from certain directions, and how the microphone will perform at different frequencies within its specified operating range. 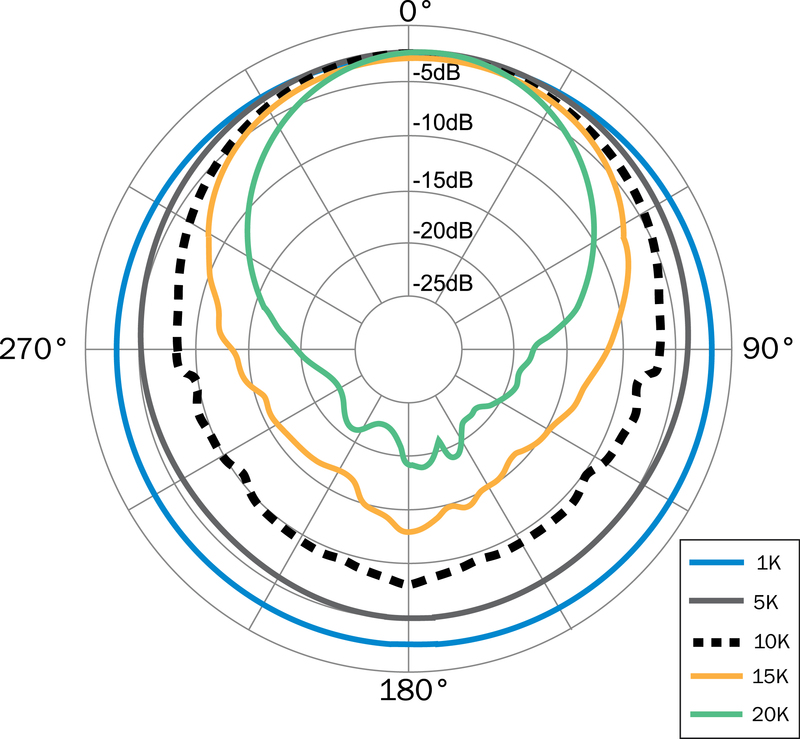 Conventional microphones often contribute to acoustic feedback problems through the lack of uniformity in the polar response at different frequencies. Referring to the “Conventional Cardioid Microphone” above, we see that the various high frequencies vary significantly in level (i.e. 4kHz, 16kHz and 20kHz). Such level disparities between the different high frequencies correspond to sharp peaks or dips (increase or decrease in level) in the microphone’s overall frequency response, which also creates phase problems. 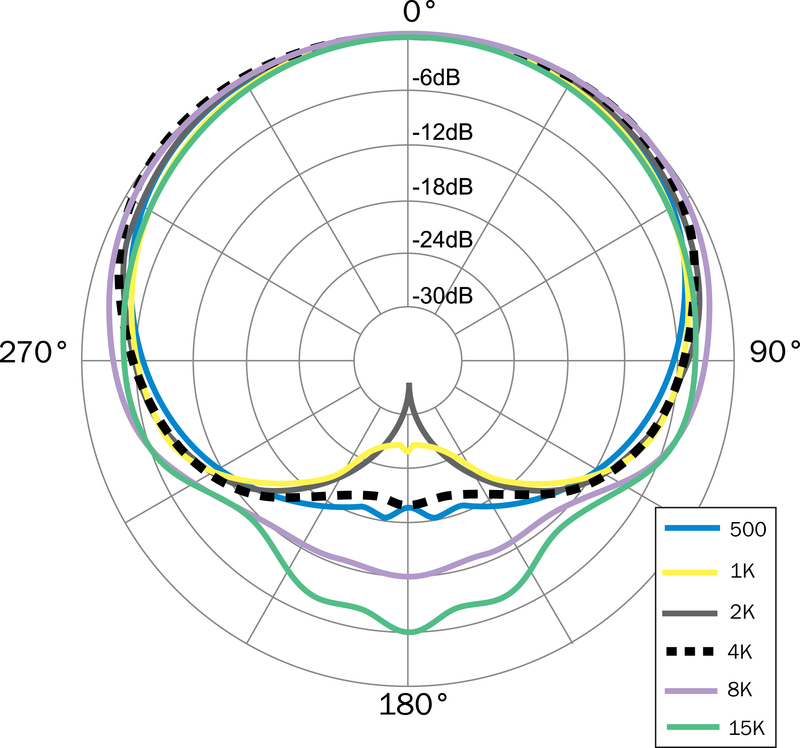 These peaks and dips and phase anomalies contribute to acoustic feedback. In contrast, notice on the Earthworks Cardioid Microphone graphic how the high frequencies track each other, which will cause no peaks and dips or phase disparities. Another problem often created by conventional microphones is spotlighting or highlighting. This same lack of uniform polar response at various frequencies causes voices or instruments in certain frequency ranges to be louder than the rest, making them “stick out” and difficult to blend in with the rest of the group or ensemble. This problem is called spotlighting or highlighting. 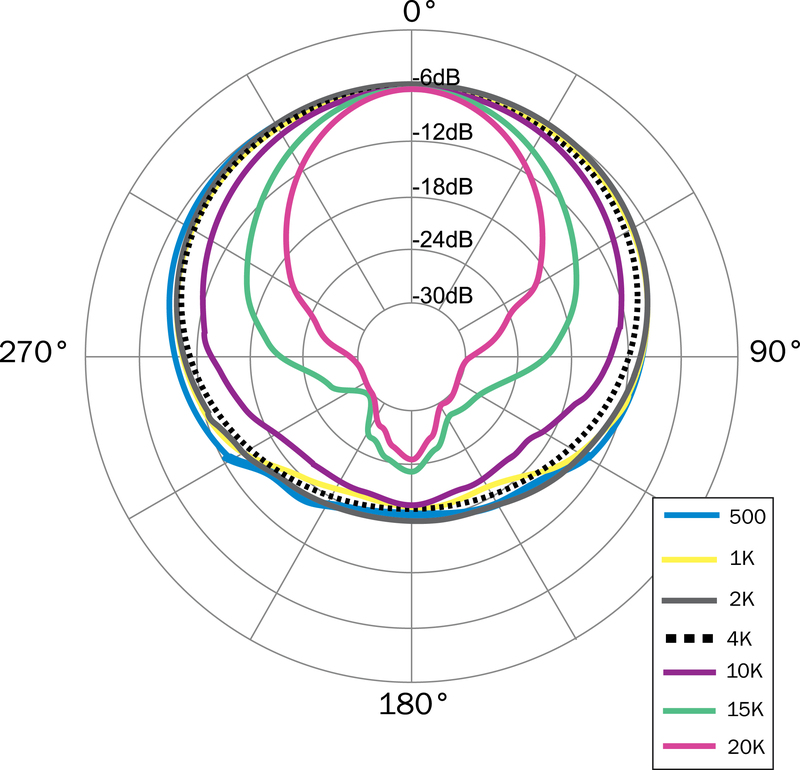 Notice on the Earthworks cardioid microphone polar, how close together the various high frequencies are from 270° to 0° to 90°. Because of this very uniform polar response, an Earthworks directional microphone will provide significantly more sound level before acoustic feedback. Those who have used Earthworks microphones for sound reinforcement are always impressed with the significant increase in sound level before feedback. The exceptionally uniform frequency response of Earthworks High Definition Microphones™ allows them to pick up sounds uniformly and accurately, with no spotlighting or highlighting. Those who use Earthworks microphones on choir and instrument ensembles often express great pleasure with Earthworks microphones’ lack of spotlighting, which improves the overall sound quality. 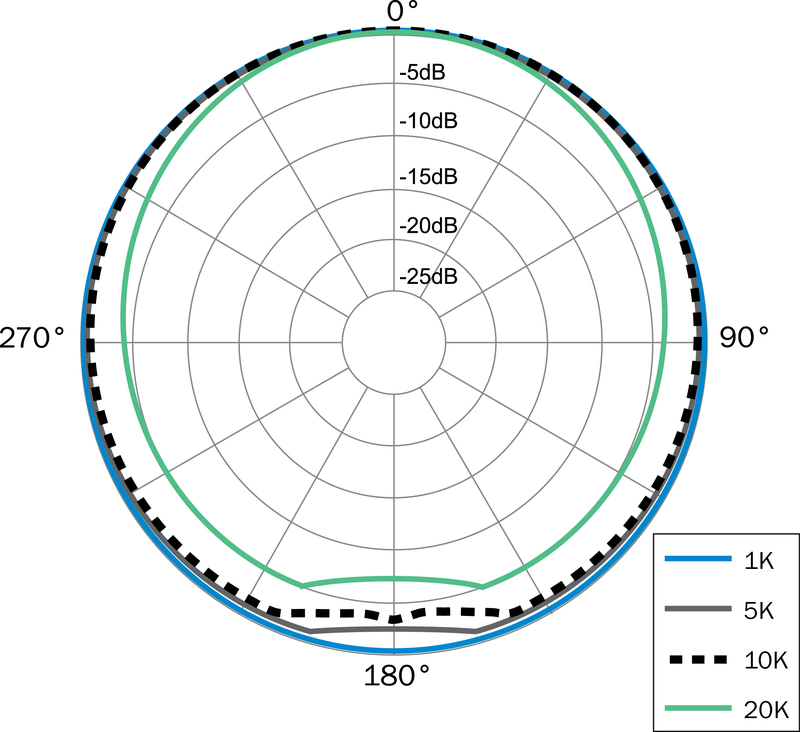 The conventional omni microphone at 90° has a loss of 18dB at 20kHz, while the Earthworks omni microphones at 90° only has a loss of 4dB at 20kHz.